After graduation from high school, Ali followed in his father’s fighter pilot footsteps by enlisting with the U.S. Navy where he served as an Aviation Ordinance Man. Responsibilities included maintaining, arming and disarming, uploading and downloading the weapons system for F14 jets. Teamwork and precision were key factors in his success in the Navy and are traits he has carried with him into business. After his military service, Ali attended and graduated from the Everglades University in Boca Raton, Florida with a B.S. in Aeronautical Science and Engineering and a minor in Air Traffic Control. Ali was a Flight Instructor in Boca Raton, FL and a Charter Pilot in Richmond, VA, earning eight pilot licenses throughout his career. In 2004, Ali relocated to the Outer Banks of North Carolina and obtained a Real Estate Broker’s License, where he became educated in the nuances of resort coastal properties, and established a solid reputation representing Outer Banks sellers and buyers in successful sales and purchases. 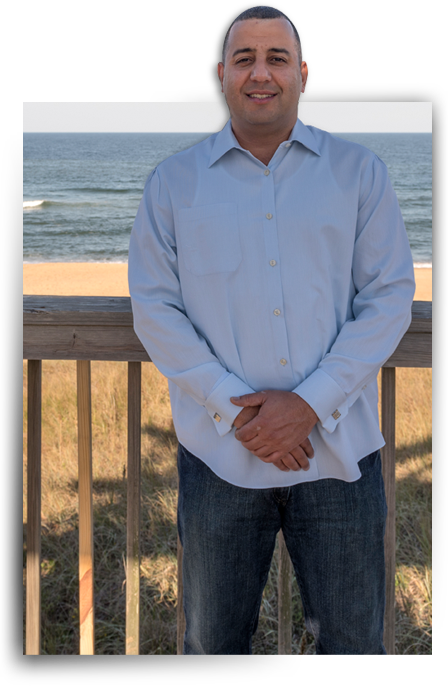 Within two years, Ali moved into the next phase of his career obtaining a General Contractor’s license and founded an established Outer Banks construction company with a colleague, where he managed all aspects of construction. Ali oversaw construction of more than 160 homes stretching from the northern beaches of Corolla, south to Hatteras Island, and extending onto the Currituck mainland. In 2015, Ali and Basia established Dream Builders Construction and Development, LLC. This partnership allows them to assist clients on a more personal level with an emphasis on efficiency, quality workmanship and the use of the finest materials available for all budgets. From the onset, Basia Amini’s focus was set firmly on education in business. As a student in Katowice, Poland, Basia obtained a Master’s Degree in International Business from the University of Economics. Her education continued in Nice, France where she attended the Ecole Supérieure de Commerce (IPAG) with additional studies in International Marketing and Management. Her years of education in these fields included attending extensive business lectures that allowed her to travel throughout Europe. Basia speaks English, Polish and French fluently, receiving a Diplôme d’études en Langue Française (DELF) from the French Minister of Education. As an advanced student, Basia became eligible for a cultural exchange work and travel program in the United States, and from 2005 until 2008 this opportunity brought her to the Outer Banks of North Carolina. As a participant, she worked through the summer and then spent a month each year traveling within the U.S. before returning to her studies in Poland. During this time, she secured an internship at a technology company that manufactured marketing labels for IT software, including a large project with Dell Computers. After graduation in 2008, Basia obtained a student VISA for general studies at the College of the Albemarle in Manteo, NC. 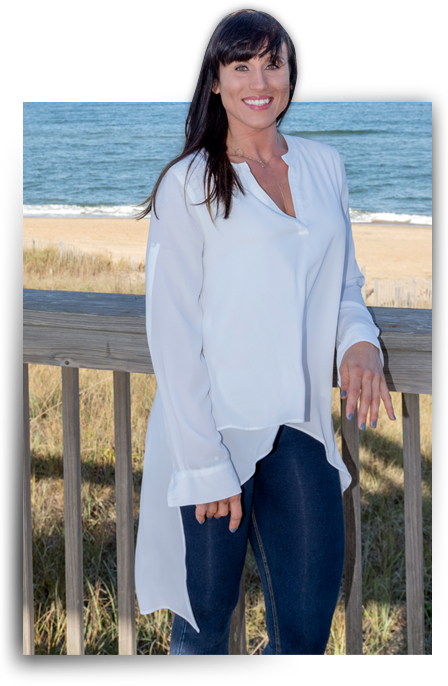 In 2009, she took a position as a Sales Leader at the retail sales company, Aeropostale, located in Nags Head, NC. In 2012, Basia accepted a position with Kempsville Building Materials, a division of Carter Lumber Company. Her role as a building material Sales Coordinator was multi-faceted and included the review of material sales contracts and change orders, client budgets and billing, product orders and subcontractor payments. With a natural ability in interior design, this role allowed Basia to become familiar with the extensive variety of finishes and products available to homeowners.